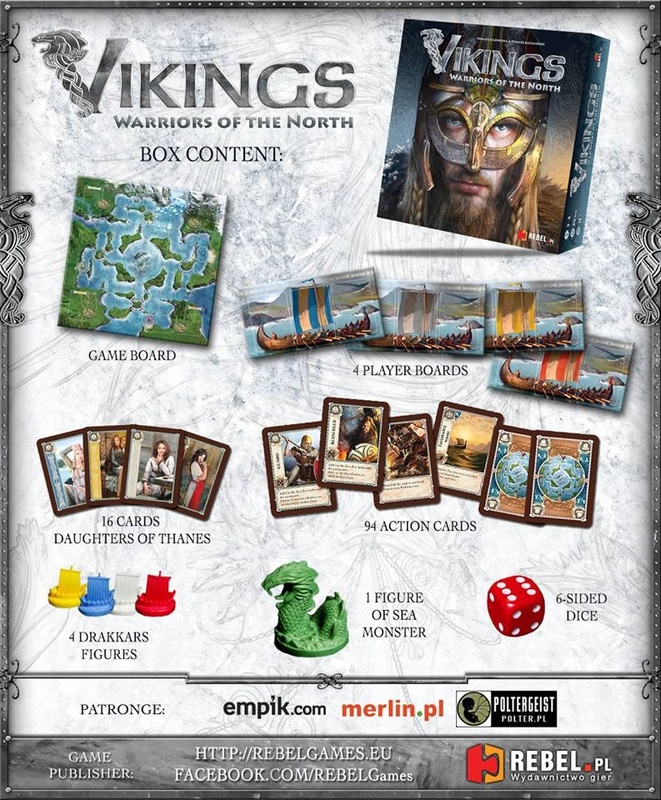 In Vikings: Warriors of the North, players take the roles of Viking jarls, fighting for control over the North and the Konung Crown. 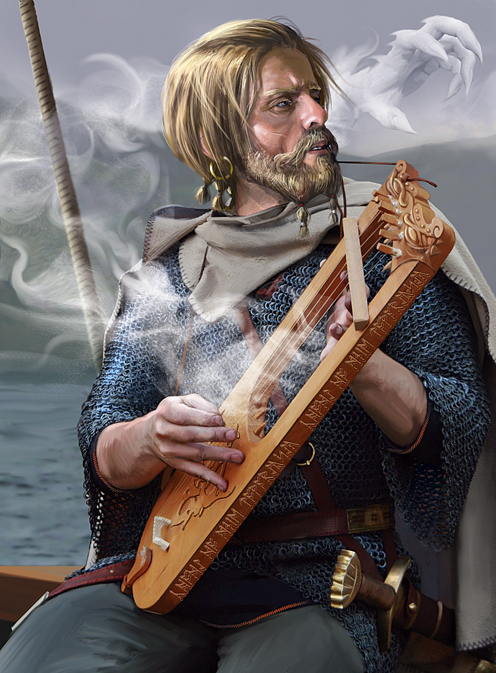 The first one to pillage all of the villages and take the daughters of their thanes to his home port as warranty of recognition of jarls authority will be declared the winner. 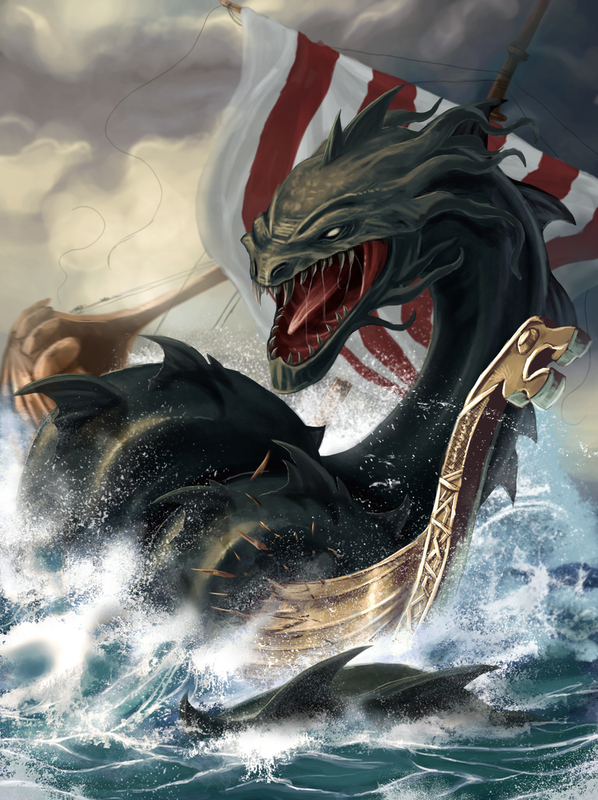 To do this, the jarls will have to brave the stormy northern seas, battling each other along the way, and watch out for the sea monster that lurks beneath the waves! The most cunning and vehement of them all – that is, the one who the Gods favor – will throw a great feast and become the Konung of the North. 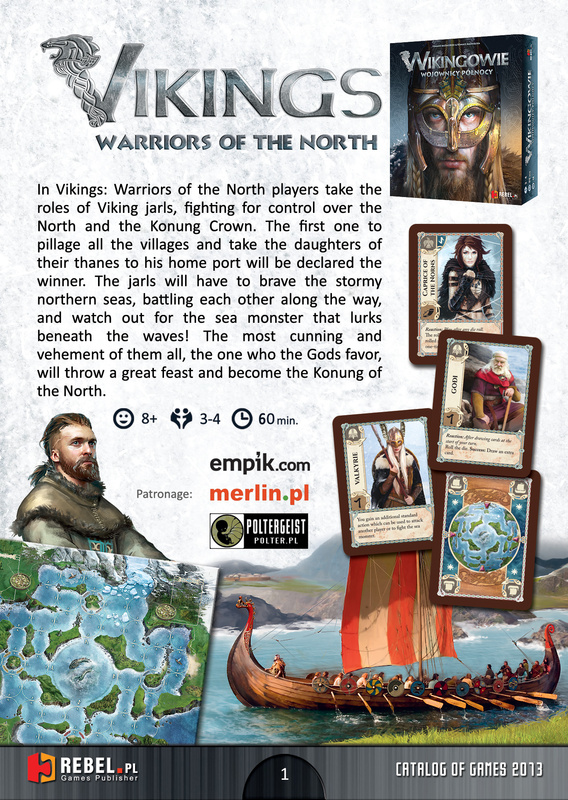 Vikings: Warriors of the North is a card-based game. 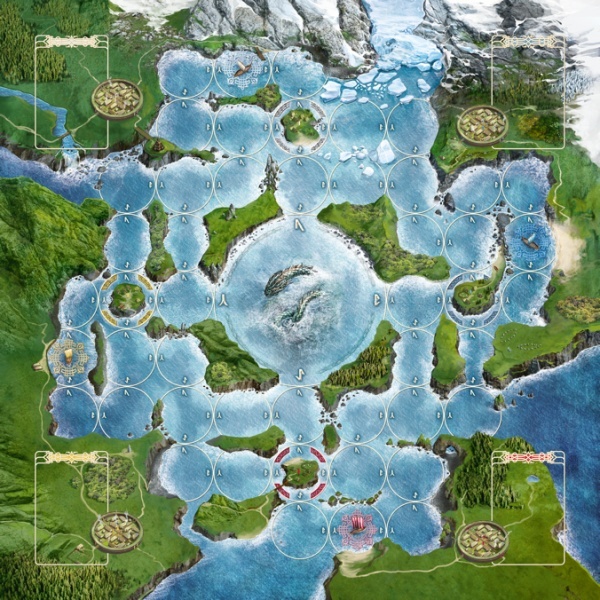 Players draw cards from a common deck. 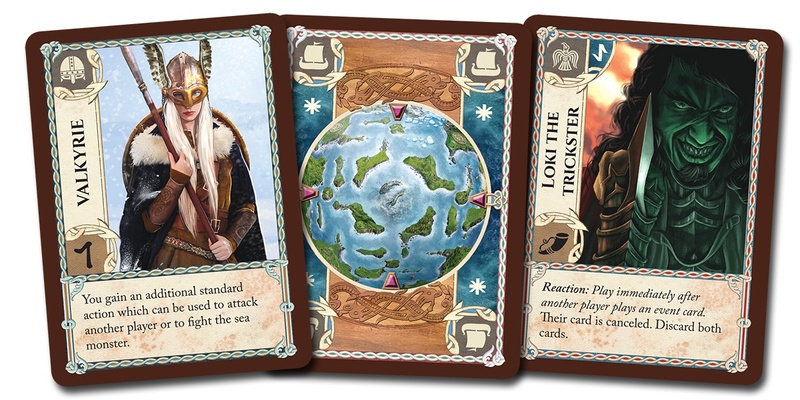 Wind cards are used for moving a drakkar around the board that depicts the cold north sea. 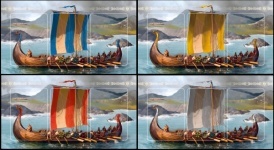 Players can move the drakkar to a village (to sack it), to an enemy drakkar (to attack it), or to their own ports, where they can throw a feast for the Gods. 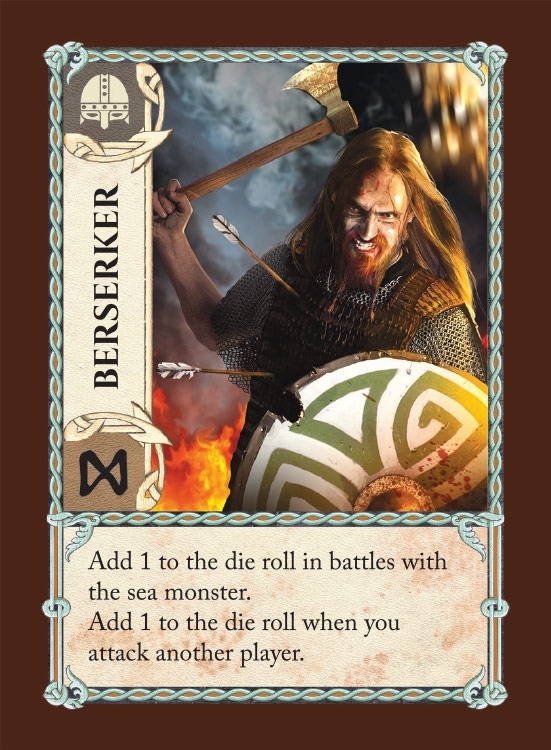 A player can also use cards to drastically change the gameplay: He can increase his chances in an attack, re-roll the dice, sail further with his drakkar, or steal cards from an enemy's hand. 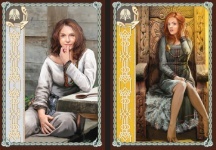 All of those cards represent story events that have tangible effects within the game. Some cards represent heroes who can become part of a drakkar's crew. As long as a hero stays on the ship, he grants his owner a permanent effect. Each drakkar has three open slots for heroes. Daughters of the thanes are also considered heroes, so they also occupy drakkar slots. With only three slots, players have to think hard about their crew composition. 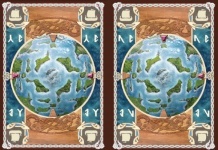 On a turn, a player can play any number of cards from his hand and take one action: attack, sack a village, throw a feast, etc. Attacks are resolved by a roll of a six-sided (d6) die, although many cards influence the combat result, so each battle is exciting. 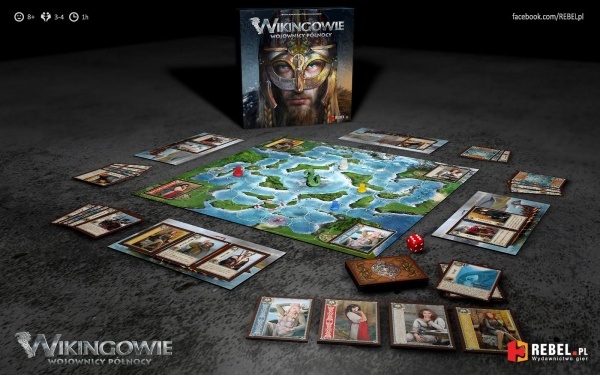 When a player takes three daughters of the thanes (each of a different, opposing player color) and brings them to his own port, the game is over and that player wins. 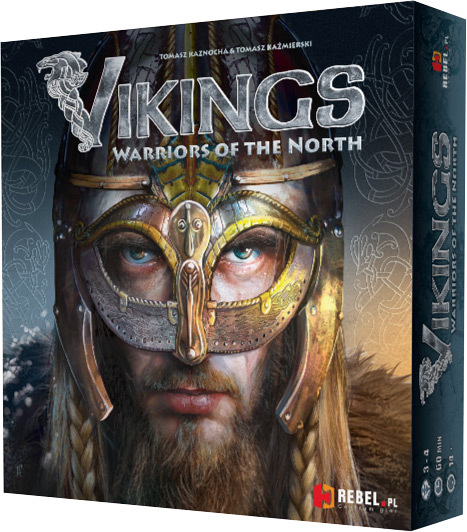 The gameplay is fast, furious and fun, full of twists and comebacks; it really lets you feel like a Viking chieftain! Why you will absolutely love this game? Top notch art and art direction. Each single card is a meticulously crafted piece of art, creating a deep, memorable atmosphere. 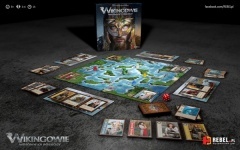 The game is full of unexpected twists, and keeps you on your toes from beginning to end - you will not experience a single moment of boredom. 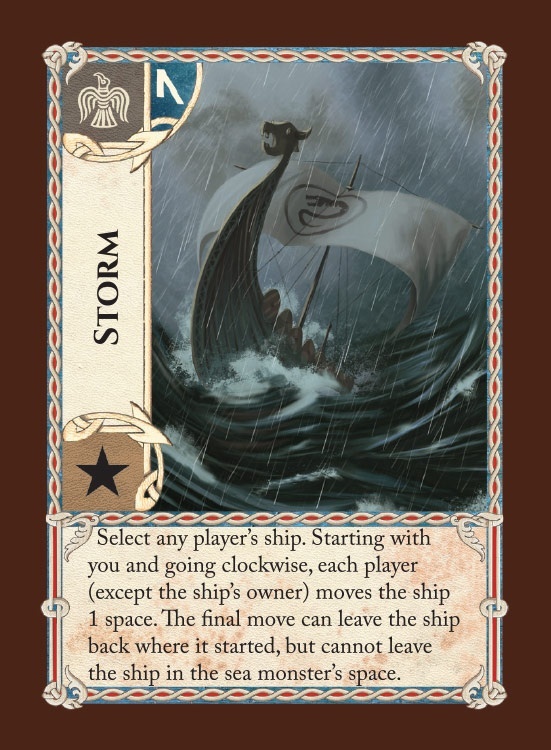 Evocative card names add to the atmosphere and action of the game, and really bring out the Nordic themes. 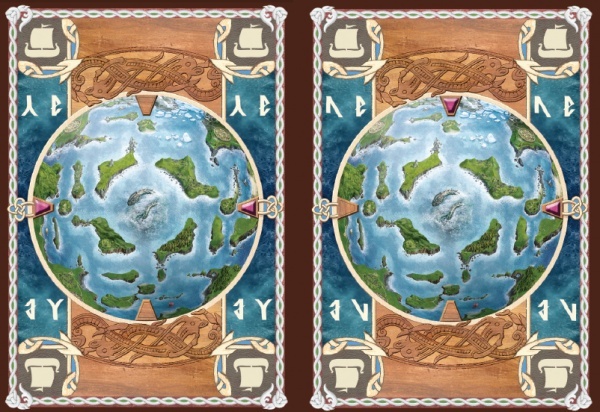 Easy to learn rules and varied action cards create dynamic gameplay that tailors to different player styles.